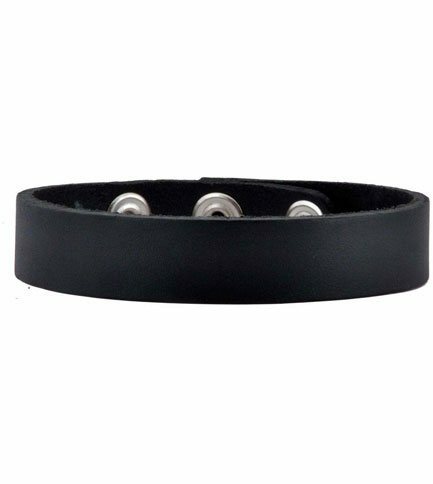 Black leather 3/4 inch choker with 3 adjustable snaps at 1 inch increments. Made in the USA. I own many leather goods- I was skeptical that the quality of this choker wouldn’t be up to par with such a great price. I was wrong! It’s durable, thick and the perfect size for my neck - I suggest using a tape measure around your neck prior to choosing the size!